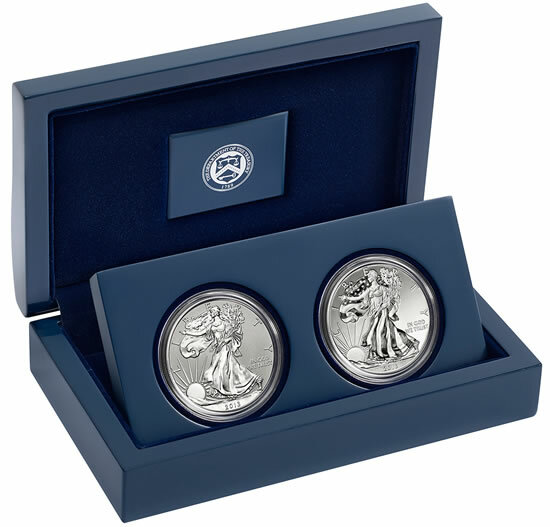 Additional release details are available for the 2013 American Silver Eagle Two-Coin Set from West Point. Officially given the name 2013 American Eagle West Point Two-Coin Silver Set, its release date is May 9, 2013 at 12:00 noon ET. These latest two details — the price and one-month sales window — match last year’s release of the 2012 American Silver Eagle Two-Coin Proof Set from San Francisco. Its sales finished at 224,981. 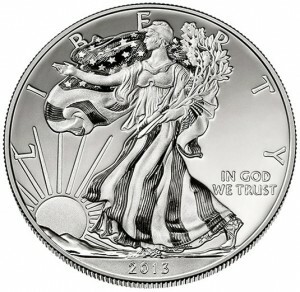 It seems entirely possible that the 2013 West Point Silver Eagle Set could topple that closing. 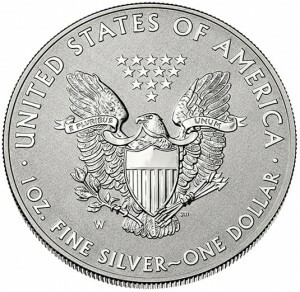 Within it is a Reverse Proof Silver Eagle and a never-before-issued Enhanced Uncirculated Silver Eagle that has three different finishes using an entirely new minting technique. Collectors are eagerly awaiting the release of the uncirculated coin. 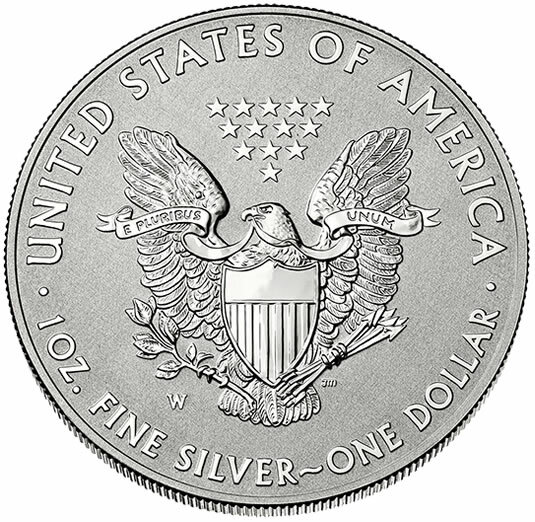 Additional support comes from the U.S. Mint’s declaration that the two Silver Eagles will not be sold outside of the two-coin set. That will strengthen sales. A detracting element is the current price of silver — if its stays the same or retreats further, and if the set’s published price remains unchanged. American Silver Eagles are struck from one ounce of 99.9% pure silver. Spot silver is at $24.53 an ounce as of this writing. That would place the set’s premium above spot at $100.89, or more than double its melt value. Collectors were not happy with the premium of last year’s Two-Coin Proof Set from San Francisco, though that did not seem to depress sales. Its opening day premium over melt was $91.39 based on the London silver fixing of $29.28 an ounce. 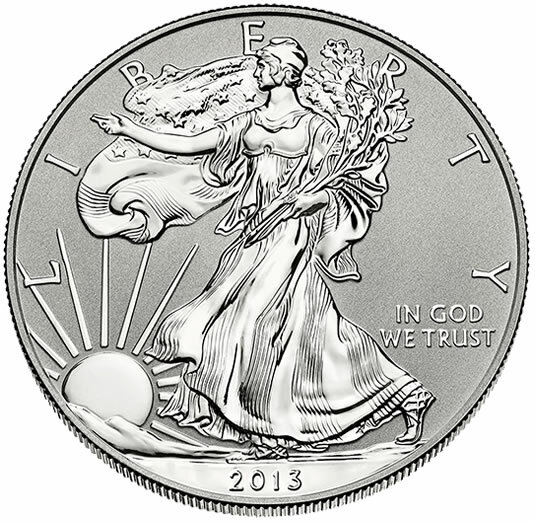 Visit the U.S. Mint’s preliminary product page for the 2013-W Silver Eagle Two-Coin Set right here. It includes new language describing the enhancements made to the uncirculated Eagle. The coin images there are the one’s seen throughout this article. Nope, still not attracted to the reverse proof image. Also not attracted to the price for the two coin set. Coin collecting sure has gotten expensive these days. jim I agree – the reverse proof isn’t overly attractive to me either. The new enhanced coin is one I am interested in – and yeah with silver retreating this set is a high premium – but I will be buying it. I am curious if the mint plans on using the new laser on the proof coin – as they announced they would be using it on proofs after the Generals release. People may not like the pricing, but this set is going to sell big time. Especially with neither coin being offered in other sets. It will be interesting to see if the 4 week window holds and what the first day traffic will be like. Last time the mint was a mess on the sales. Last years set is selling at a premium to the issue price and it was not nearly as interesting as this one. I’ll buy but the premium hurts. this is another bullion related issue. period. with the silver price like this. i see it will trade below issue price. too many american eagle coins. just stick to the earlier issue like 1995w, 2006w and 2011w. We’re addicted to our obsession – collecting at least one of every variation of the silver eagle, whether it’s the date, the mint mark, the quality (proof, unc), or the finish. Regardless of the price we’ll pay it so we can keep our collections going – the mint’s got us over a barrel and they know it and we’re stuck with it. 224,981 last year; cut that by a factor of 2 or 3 and that’s how many real collectors there are. 2 coin set from ? (Philadelphia?) in 2014? 2 coin set from ? (Denver?) in 2015? Anyone remember when looking for pennies was the height of our “collecting?” Well, no longer is a penny, worth our time and no longer is a “dollar” worth what it once was. However, unique coins, regardless of the metal content, will always be in demand. How much demand, is driven by price, value, artistry and what we think will be the demand, after the ordering deadline is passed. From what i see on ebay, ( unless you’re a pure collector ), Even these coins (imo) will fade after awhile as far as price wise. Why the U.S. Mint cannot use imagination like Perth or the Canadian Mint is beyond me. I see these coins as the same ol same ol (LADY LIBERTIES), Whether there is a different strike, Different this different that, It’s still liberty. With silver plummeting, They should drop the price to at least $100 for the set, Unless silver rebounds. We broke through many technicals., So i don’t see that happening to quickly. This set will sell out in no time. The price seems fine to me. After all, there is no increase from the price of the 2012 set and it is basically the same product. Put 3D colored snakes and rats on them, then limit the mintage to no more than 1,500 world-wide! All I know is they [the U.S. Mint] really need to re-evaluate the opening price for this set. Given today’s silver SPOT ($23.46), it’s hard to imagine spending $149.95 for two coins and a hand-me-down case from last year’s offering. 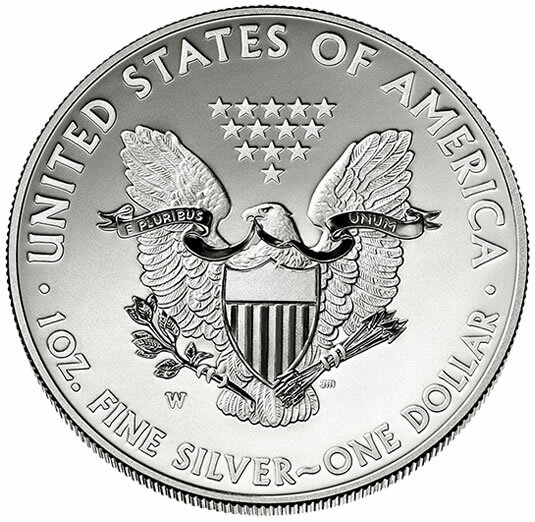 As I have said many times before, silver eagles are where the mint makes up for all it’s blunders, mistakes, and errors with no recourse from the buying public. That is why there is no silver pricing guide like there is for gold and platinum. If there was the mint would have to find another way to get to profitability. Raising prices on mint sets, $ bags and rolls will only reduce sales of those items and still no profitability. This is price gouging to say the least but we’ll all pay because we have to have the unique coins that are offered. They could double the price and we’ll still pay. The mint is probably sitting on huge inventories of silver planchets purchased for much higher prices, perhaps $30-40 in times past. Unless they have hedged this, they probably can not drop prices very much. They might be losing money on the bullion silver eagles and silver 5 oz quarters if they sell at current spot price. This is no doubt why the service charges for gold coins have gone up and we are not seeing the 2013 ATB’s. They should compensate for lost profit by bringing back the golden dollars for circulation but with a slight charge to negate the abused bonuses for mileage/rebates on credit charges. Some of us did really try to circulate them. The set is beautiful and will need to get one to keep the collection intact but it is painful to have to pay such a premium over spot. @Kahoola… maybe but probably not. The mint is selling bullion coins at just about the current market price. Hoarding silver bullion in the market where the value fluctuates daily to resell at the current market price doesn’t seem like a wise venture. I would speculate they don’t have an overwhelming stockpile like they had when they started the ASE… in the 80’s. That said – it is tough to speculate on how many they currently have manufactured for the May release – this set and the uncirculated. We know it isn’t millions – but even a few hundred thousand with the price dropping out of the market is probably a bit of a heart stopper for them. Can’t wait to get this 2013 2coin eagle set. I think this new enhanced coin is going to be awsome. I love American eagles. Think this was a great idea. It would be nice if they would lower the price based on the price of silver going down. Bubba, So happens they did lower the price ( At least for the moment…lol ) To $139.95. We shall see where silver is at when these coins come out May 9th. Joe #2, Where did you see that? AS my email said April 18 ,the price will be $149.95. Joe this set cannot sell out until the 28 day time frame expires. that means they could sell 1 or 1,000,00 if the orders are there. I want to apologize to Joe 2 I just rechecked the Mint web site. May I be struck by lightening, they almost cut us a break, The price should be $124.95 but I guess $10.00/ set in our pocket will have to do. On the U.S. Mint site under upcoming 2013 products, The price as of now says $139.95 on the release date of May 9th, But once again, The price doesn’t matter until coin is released, And what silver will do. The unlimited mintage limit wasn’t posted on 4/15 when I posted it. I guess it won’t be that rare of a set. Well, Since the set will be available for a full 4 weeks and unlimited purchases, No big deal. Why can’t the U.S. Mint do what The Canadian Mint does? I just don’t get it. What does the Canadian Mint do Joe#2? Thanks Joe#2. You’re right. Time for a new 1 oz Silver Dollar and do away with the Silver Eagle even though it’s a great coin. This will increase it’s value. The coin has to be in production for 25 years before the mint can cancel I believe. So they can do it anytime they want now. But everybody loves the Silver Eagle. So I doubt it would happen anytime soon.